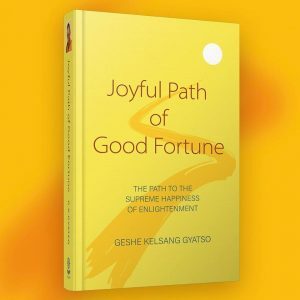 Joyful Path of Good Fortune explains the complete Buddhist path of enlightenment. It is a comprehensive presentation of every step of the path – from how to listen with our hearts and how to sit for meditation, through to developing the deepest concentrations and the most profound insights. Anyone who studies this book will establish the best possible foundation for their spiritual journey. It answers our questions on every topic Buddha taught, and helps our mind open to new questions that will change our lives. Studying this extraordinary book in a systematic way on the Foundation Programme will enable you to deepen your experience of Buddhism through weekly in-depth teachings, guided meditations and paired discussions. Through this, you will be inspired to live compassionately in the modern world and find lasting peace and happiness. All course fees are used to run and develop the Centre and spread Buddha’s precious teachings. We all have the potential for self-transformation, and a limitless capacity for the growth of good qualities, but to fulfil this potential we need to know what to do at every stage of our spiritual journey. 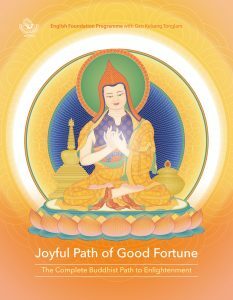 With this book, Venerable Geshe Kelsang Gyatso Rinpoche offers us step-by-step guidance on the meditation practices that will lead us to lasting inner peace and happiness. With extraordinary clarity, he presents Buddha’s teachings in the order in which they are to be practiced, enriching his explanation with stories and analogies. It is a perfect guidebook to the Buddhist path to enlightenment. 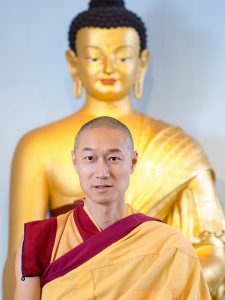 The author, Venerable Geshe Kelsang Gyatso Rinpoche, is a fully accomplished meditation master and an internationally renowned teacher of Buddhism. He has written 22 highly acclaimed books that perfectly transmit the ancient wisdom of Buddhism to our modern world. Gen Kelsang Tonglam is the National Spiritual Director of Kadampa Buddhism for East Asia and the Resident Teacher at Kadampa Meditation Centre Hong Kong and Taiwan. Gen Tonglam has trained under the guidance of Venerable Geshe Kelsang Gyatso Rinpoche for over 25 years. He is renowned for his ability to present Buddha’s most profound teachings in simple and most practical ways, injecting a renewed enthusiasm and driving force in our ordinary life.